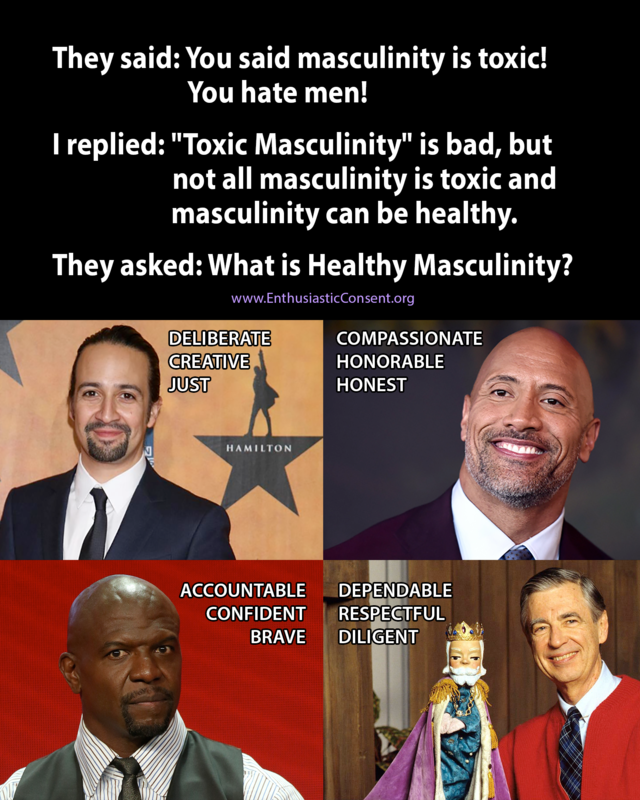 Non-Toxic / Healthy Masculinity Memes – 11th Principle: Consent! Our latest viral graphic improved upon a preexisting meme with the input of 20+ diverse community members, over half of which were men. There are two versions here. This first graphic meme after the non-profit, Enthusiastic Consent, became official. 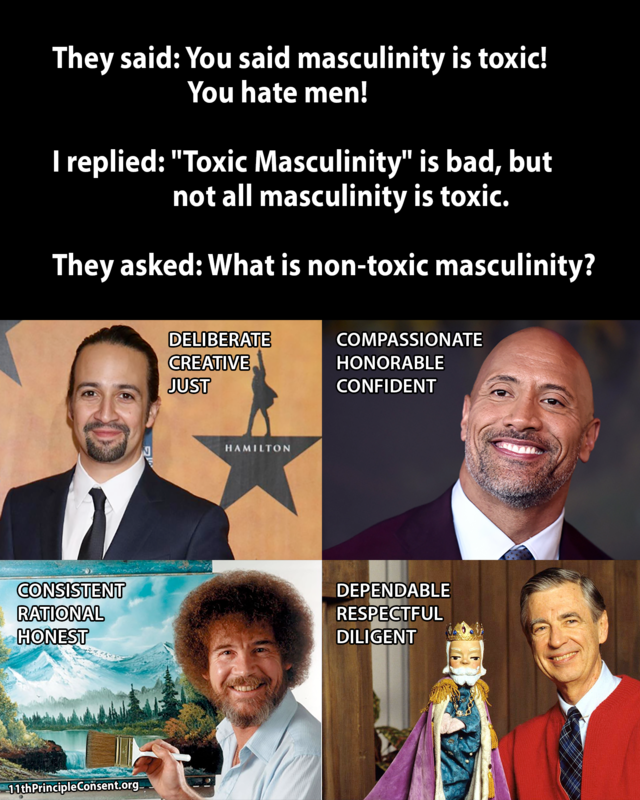 This improved upon a preexisting meme with the input of 20+ diverse community members, over half of which were men.